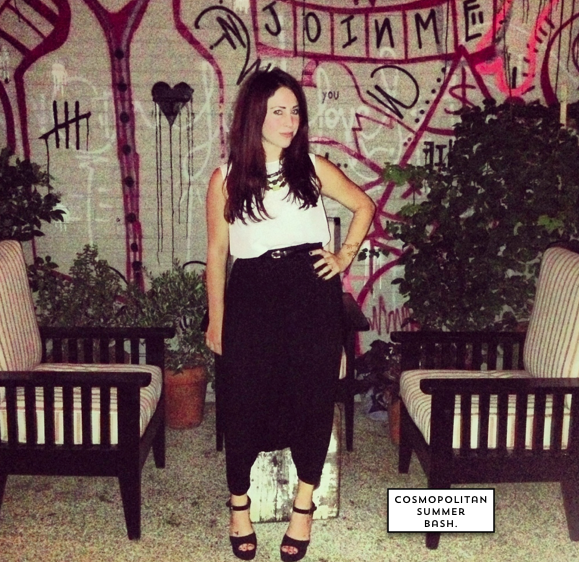 I attended the Cosmopolitan Summer Bash with Jazzi McG on Saturday and wore the ultimate harem pants courtesy of Eileen Fisher which are the most comfortable and effortlessly stylish item I know own (if you don't know, now you know so get em). Also this amazing cuff by Brooklyn Based Psyche Jewelry and my new favorite lipgloss (just enough red) Burgundy Wine by Lorac. BOOM, don't worry I was in bed by 11.